Q. How soon into an academic program are students eligible to obtain Academic Training authorization? A. J-1 visa regulations do not specify how long in an academic program a student must be enrolled before being eligible to apply for J-1 Academic Training. Eligibility is dependent upon the student’s academic program as to when the program will support a student pursuing an internship or other off-campus experience directly related to their program of study (whether that be a required experience for the academic program, or an elective experience desired by the student). Some programs that have required internships may allow for earlier pursuit of an off-campus experience. From a visa status perspective, the expectation is that a student must complete at least one academic term in their degree program, to have background in their field of study, before being eligible to apply for Academic Training. Please consult with your academic department administrator and the Office of International Affairs if you have any questions about J-1 status and pursuing internship/experiential learning opportunities. Q. How many hours can students work? A. J-1 Academic Training can be authorized for Full-time employment during vacation periods (Summer/Winter Vacation), and up to 20 hours per week maximum when school is in session (Fall, Winter and Spring quarters). All authorizations require the support/approval of your Academic Advisor in your assigned major and must be directly related to your field of study and furthering your specific academic experience. Q. Is there a deadline for applying for post-completion Academic Training? A. Yes. Students have only 30 days after completion of their program of studies to apply for and receive authorization for Academic Training. Since you must first meet with an International Student Advisor and then wait to receive authorization, it is recommended that you make an appointment well in advance of the 30 days. Q. Is there any way to extend the deadline, if students are late with the application? A. Unfortunately no, because the 30-day deadline is specified in federal regulations. Q. Do students need to have a job offer before applying for Academic Training? A. Yes. Students must have a specific job/internship offer, so that their academic adviser is able to determine its suitability and write about it. Q. How long does it take to receive authorization for Academic Training? A. Academic Training authorization will be granted to students within a day or two provided the International Student Adviser has all the necessary information, including the Academic Advisor’s approval. 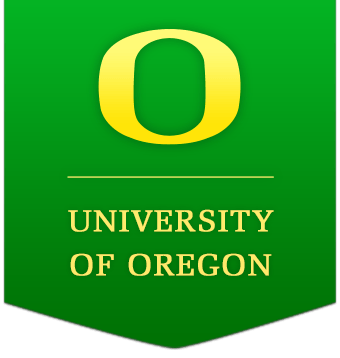 Please note: If the UO is not your J-1 program sponsor, the UO cannot authorize Academic Training for you. You must contact your J-1 visa program sponsor (who issued your Form DS-2019) to confirm if you are eligible for Academic Training authorization and the procedures to complete with your sponsor to secure the Academic Training authorization.